The Constitution of the United States was written by the delegates to the Constitutional Convention during the summer of 1787. Nine of the 13 states would have to ratify it before it could go into effect for those states. The debate between Federalists (who favored the Constitution) and Anti-Federalists (who did not) raged for months in newspapers, pamphlets, and state legislatures. The Anti-Federalists had many objections to the Constitution. One of those objections was that it did not have a bill of rights. Bills of rights had been part of the traditional ways the British had tried to limit the King’s power. And even though the Constitution established a limited government by the people, many believed a bill of rights was needed. Thomas Jefferson, who was serving in Paris as ambassador to France, received a copy of the Constitution and was anxious to share his thoughts with Madison. Jefferson’s letter objected to “the omission of a Bill of Rights providing clearly…for freedom of religion, freedom of the press, protection against standing armies...” (Thomas Jefferson to James Madison, December 20, 1787). Thomas Jefferson, who was serving in Paris as ambassador to France, received a copy of the Constitution and was anxious to share his thoughts with Madison. 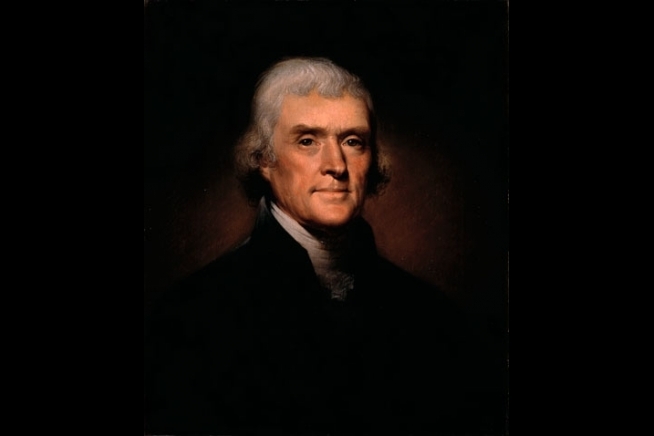 Jefferson’s letter objected to “the omission of a Bill of Rights providing clearly…for freedom of religion, freedom of the press, protection against standing armies...” (Thomas Jefferson to James Madison, December 20, 1787). As the ratification process went on in the states, calls for a bill of rights came even from those states that did ratify. Massachusetts ratified the Constitution but sent Congress a list of proposed amendments. By June 1788, nine states had ratified the Constitution, ensuring it would replace the Articles of Confederation in those states. However, Virginia and New York, large states that were the homes of the very authors of The Federalist Papers, Hamilton and Madison, had not ratified. Madison knew that very serious doubts would be cast on the Constitution if Virginia and New York rejected it. The spectacular orator Henry thundered in response, “The rights of conscience, trial by jury, liberty of the press, all your immunities and franchises, all pretensions to human rights and privileges, are rendered insecure, if not lost, by this change” (Patrick Henry, Virginia Convention of the Ratification of the Constitution, 1788). The spectacular orator Henry thundered in response, “The rights of conscience, trial by jury, liberty of the press, all your immunities and franchises, all pretensions to human rights and privileges, are rendered insecure, if not lost, by this change” (Patrick Henry, Virginia Convention of the Ratification of the Constitution, 1788). He urged rejection of the Constitution, arguing that Virginia’s refusal to ratify would help bring about changes to the Constitution. He urged rejection of the Constitution, arguing that Virginia’s refusal to ratify would help bring about changes to the Constitution. Ultimately, Madison promised that a bill of rights would be added after ratification. Virginia approved the Constitution by the narrow margin of 89-79. New York also ratified, but followed Massachusetts and Virginia’s lead by submitting a list of proposed amendments. Rhode Island and North Carolina refused to ratify without a bill of rights. New York even went so far as to call for a second constitutional convention. When Madison ran for a seat in the first Congress, he stated, “it is my sincere opinion that the Constitution ought to be revised...[to include] the most satisfactory provisions for all essential rights, particularly the rights of Conscience in the fullest latitude, the freedom of the press, trials by jury, security against general warrants &c." (James Madison to George Eve, January 2, 1789). Influenced by state constitutions, his correspondence with Jefferson, and the Virginia Declaration of Rights, Madison proposed more than a dozen changes to Articles I and III in a speech on June 8, 1789. In suggesting these amendments, Madison presented them as small additions and word changes, and not as a list standing apart from the body of the Constitution. Several congressmen, led by Connecticut’s Roger Sherman, objected that Congress had no authority to tamper with the original form of the Constitution. The House agreed with Sherman’s objection and considered the amendments as a separate list. The House approved seventeen amendments. Of these seventeen, the Senate approved twelve. Those twelve were sent to the states for approval, as the Constitution directed. Of those twelve, ten were ratified and became the Bill of Rights (1791). The Bill of Rights is a partial list of limits on the national government’s power. For example, the natural right of individuals to speak and worship freely was enshrined in the Constitution by the First Amendment, which prohibits the peoples’ representatives in Congress from abridging these rights. The natural right to defend oneself is protected by the Second Amendment, which stops government from infringing the right of the people to keep and bear arms. The natural right to be free from unreasonable government intrusion in one’s home and private papers was safeguarded by the Fourth Amendment’s warrant requirement. The Ninth Amendment was added to protect all rights not listed in the Bill of Rights. This amendment was Madison’s attempt to avoid his concern about a partial listing of rights. The Tenth Amendment reinforces the limited nature of the federal government, spelling out the fact that the powers not given to the federal government are kept by the states and the people (except for those powers the Constitution says states do not have). This principle of limited government was of vital importance to the people. When seven states proposed amendments, the one proposed by all was the principle contained in the Tenth Amendment. Initially, the provisions of the Bill of Rights applied only to the national government. This principle was affirmed in the Supreme Court 1833 case of Barron v. Baltimore. A Maryland man sued the city of Baltimore when development around the harbor made his formerly-profitable wharf un-usable. His suit claimed he was due “just compensation” for taken property, as required by the Fifth Amendment. The Supreme Court, however, ruled unanimously against him (without even hearing Baltimore’s arguments). The Bill of Rights applied only to the national government and was not applicable to state or city governments. Barron would need to turn to his state constitution for help. About 100 years after the Bill of Rights was added to the Constitution, the Supreme Court began using the Fourteenth Amendment (ratified in 1868) to apply (or “incorporate”) rights from the Bill of Rights against the states. The debate did not die in 1791. The addition of the Bill of Rights brought Federalists and Anti-Federalists together so the Constitution could be accepted by both sides. The Federalists got their Constitution, and the Anti-Federalists got their Bill of Rights. For some Anti-Federalists like George Mason, though, it was a partial victory that did not settle their worries about centralized power. Which of these accurately reflects James Madison’s approach concerning a bill of rights? It was unnecessary because the government established by the Constitution was a limited government of enumerated powers. It was dangerous because not all rights could be listed, and any rights that were not included may later be used as a pretext for unjust expansion of government power. It was a political necessity in order to build support for the Constitution. Which protection embodies the limit that was proposed by all states that recommended amendments when they ratified the Constitution?